ONE OF THE MOST FORMIDABLE OPPONENTS TO PRESIDENT BUSH’S controversial proposal for partially privatizing Social Security can be found not on Capitol Hill, nor among lobbyists, nor among liberal think tanks in Washington. In a modest suburban house overlooking the Potomac River, not far from George Washington’s estate at Mount Vernon, Bob Ball ’35 is on the attack. At age 87, long since retired as Commissioner of Social Security, Ball no longer has perks of the powerful to wage his campaign—no chauffeured car, no imposing office, not even a secretary. His reputation, however, needs no gloss, for Ball knows more about the place of Social Security in American life than anyone, and his voice commands respect on Capitol Hill just as it did when he was the one testifying before Congressional committees. He is, as The New York Times headlined in a 1999 profile: “A Great Defender of the Old Social Security [who] Battles On.” He has appeared this year on network news, writes letters and op-eds for national newspapers, and has just published a new book, Insuring the Essentials: Bob Ball on Social Security (Century Foundation Press, N.Y., 2000). Contrary to popular mythology, he adds, Social Security is not collapsing, will not shortchange the baby boomers—in short, is not broken. He argues that Social Security has done more to ameliorate poverty in the United States than all other government programs combined, a point that evokes his lifelong concern for social justice. Privatization gets under his skin because he believes it corrodes social justice, threatening those who one day will need its benefits the most. 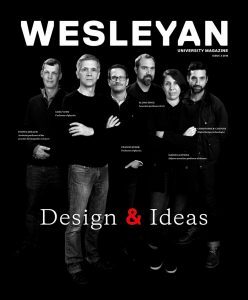 Ball was already primed for a career in social service when he entered Wesleyan as the son of a Methodist minister. The nation was spiraling down into the Great Depression; one-third of the workforce was unemployed. Ball, twice head of DKE house (not known for its seriousness, he confesses), took his fraternity brothers to picket in Hartford on behalf of workers for the Colt arms manufacturing plant who were fighting for union recognition. He took the civil service exam and after about three years, during which he held odd jobs and turned down a chance to be a fingerprint classifier with the FBI, joined the Bureau of Old Age and Survivors Insurance (part of the Social Security Board) as a lowly GS-3, making $1,620 per year. That humble start was the best thing that ever happened to him, he says, because as a field assistant attached to the Newark, N.J., office, he had to confront the confused members of the public who were trying to make sense of this new program. They were the elderly, widows with uncertain futures, and businessmen hostile to New Deal madness. After three years in field offices, Ball’s ascent through the ranks had begun and would be rapid. He understood the importance of presenting Social Security as an entitlement earned by working Americans, not as government largesse. This distinction was critical to gaining public support in the early years when the program’s hold on the public psyche was tenuous. Even by 1950, 15 years after enactment of the legislation, only 16 percent of Americans over age 65 were eligible for benefits, and payments to them were modest, averaging about $25 a month. Familiar provisions such as disability and Medicare were not yet in place. Social Security, however, was about to enter a period of explosive growth that would see eligibility rise to 70 percent of the elderly by 1960 and over 90 percent by 1970. The Social Security Administration (formerly the Social Security Board) pressed the case since lack of disability protection was clearly a gaping hole. Congress finally agreed, reassured somewhat by very strict conditions for eligibility. A subsequent investigation by the House Ways and Means Committee concluded that the law was being followed carefully but that its provisions were overly strict, thus clearing the way for liberalization of the original disability legislation. By 1952 Ball, whose title was Deputy Commissioner, had emerged as the “major administrative figure of the entire Social Security Administration,” according to Theodore Marmour, a Yale professor who has written extensively about social services. Six feet and one inch tall, with broad shoulders, Ball cast an imposing executive presence and easily could have posed for Fortune as a corporate chief executive officer. He was objective, somewhat formal and reserved, but not without a sense of humor. Among the major challenges that fell to the Social Security organization during this period was enrollment of self-employed individuals. This posed numerous difficulties, such as determining the annual income of farmers (needed for computation of benefits) who might be pouring money into their business, for example, without much or any profit. Nowhere was the problem more acute than with sharecroppers in the South. Hundreds of thousands of mostly black farmers with virtually no formal education farmed by giving back part of the crop in return for having been furnished with seed and equipment. The Social Security Administration had to establish their eligibility. Ball and his associates drafted employees from throughout the agency and packed them off to itinerant offices, often a post office or a courthouse, to deal with huge backlogs of sharecropper claims in some parts of the South. In 1962 President Kennedy appointed Ball Commissioner of Social Security. He was, said Marmour, “the explicator of social insurance, addressing Congress regularly, successfully and confidently, and making sure that the message of Social Security’s mission was widely disseminated among the larger public.” He would need every bit of his credibility for his next big battle: the enactment of Medicare. The concept of medical insurance for the elderly dated from the early 1950s. The Social Security Administration began pressing harder for it as time went on, and the legislative drive began in earnest under Kennedy in 1961. In the Senate, the vote count was so close that support of a few Republicans was essential for any hope of passage. Senator Jacob Javits of New York was the liberal Republican point man, but he needed a Republican stamp on the bill to persuade four or five other Republicans to go along with the Democrats. Javits and Wilbur Cohen, who was in charge of legislative strategy for the Department of Housing, Education, and Welfare, worked out a voluntary aspect to hospital insurance whereby the elderly could opt for one of two plans: a small deductible that allowed fewer days in the hospital versus. a larger deductible with more hospital days. Ball and Cohen normally agreed with each other, but this issue presented a rare exception. “You get something like that in and the first thing you know, we’re trying to administer it,” Ball replied. Ball was so agitated that he asked to see President Kennedy—an extraordinary request. “I knew I had lost when I walked into the Oval Office. There was Wilbur Cohen and Ted Sorensen (Kennedy’s top domestic adviser); they had obviously been there quite a while. They were friendly and happy, so I knew they had it all fixed up before I walked in. I had made a mistake, but I had no choice except to see it through. By the time President Johnson signed the Medicare legislation in 1964, the choice of deductibles had been eliminated. Implementing Medicare was one of the largest peacetime logistical tasks in history. Ball called it the toughest job the Social Security Administration ever faced. The program required setting up 100 new offices and hiring thousands of people through the civil service system. It involved virtually all the hospitals in the country (see sidebar), nearly every doctor, thousands of nursing homes, and some 19 million people over the age of 65. To help get the word out, forest rangers looked for hermits in the woods; post-office trucks carried billboards on their sides; the Railroad Retirement Board, the civil service retirement system, and the military, state and local systems circulated information. As the implementation deadline approached, President Johnson became concerned that elderly individuals might be deferring their medical needs and would immediately flood hospitals with requests for care. Congressional shaping of Medicare fell mostly to the House Ways and Means Committee under Wilbur Mills, and its members were well pleased with the administration of the program. The Senate, with little stake in how the program was designed, was a different story. Controversy arose over the optional Part B of Medicare (payments to doctors and other nonhospital expenses). Stories of fraud and abuse—doctors claiming exorbitant Medicare expenses and nursing homes being paid for services they never rendered—began to circulate, and the Senate Finance Committee launched hearings a few months after President Nixon took office in 1969. Ball’s skills and experience at testifying served him well. He had previously served the Social Security Administration as the executive in charge of preparing Congressional testimony and would spend months if not years with staff developing background on issues. They created a technique, now widely used in government, of preparing fat three-ring binders replete with briefing notes and tabs, which served to prepare whoever was testifying and could be consulted if needed. When Sen. John Williams, Republican of Delaware, needled him during the hearing, for example, Ball was armed with massive amounts of information as well as experts behind him, ready to whisper in his ear. Ironically, one of Ball’s most significant contributions to Social Security lay ahead. In 1972, Nixon had signed a bill providing for automatic cost-of-living increases in the benefits paid to Social Security recipients. Seemingly progressive, the bill actually had a conservative intent: to prevent the Congress from reopening the issue every few years and raising benefits even higher. By the late 1970s and early 1980s, the nation faced a historical anomaly: Inflation was significantly outpacing growth in wages, so benefits were rising at a rate that could not be sustained. The Reagan administration came in determined to make major cuts in Social Security, partly because of the growing crisis over its financial stability. Ball believed the administration’s motivation was deeper—grounded in an ideological dislike of the program. The administration proposed much deeper cuts than were necessary but committed a major tactical mistake by advocating significant and almost immediate reductions in benefits for individuals who retired early at age 62. Suddenly, large numbers of people who had been anticipating retirement were scrambling to reassess their finances. The Senate turned its back to Reagan. With Democratic House Speaker Tip O’Neill’s agreement, the president established the Greenspan Commission to reexamine the financing of Social Security. Ball served on the commission and became the chief architect of its recommendations. He was able to steer the government toward adopting a variety of measures that made modest adjustments on both the revenue and expenditure sides. “He was very successful at preserving the essential elements of the system he wanted to sustain,” says Henry Aaron. With the appointment of President Bush’s new commission on Social Security, the program is once again the focus of controversy. This time around, the concept of privatizing a portion of Social Security has substantial support from Republicans and even some Democrats. The right-leaning libertarian Cato Institute, a Washington think tank, has spent $3 million in the past six years to run “a virtual war room” promoting privatization, according to Washington Post writer Glenn Kessler. All members of the Bush commission agreed to support some privatization when they were selected; their task is to propose an implementation scheme. Although Ball favors supplementary private accounts administered through Social Security, he is firmly opposed to diverting existing payroll taxes into private accounts, as President Bush advocates. Ball worries that any privatization system will expose many individuals to the vagaries of financial markets and imperil the very “security” that Social Security was designed to bring to retirement. For additional information see Ball’s new book, Insuring the Essentials: Bob Ball on Social Security, Century Foundation Press, 2000. The book is a collection of 22 articles and essays written between 1942 and 2000, covering Social Security principles, history, administration, accomplishments, and future prospects. Back to the Photographic Future?